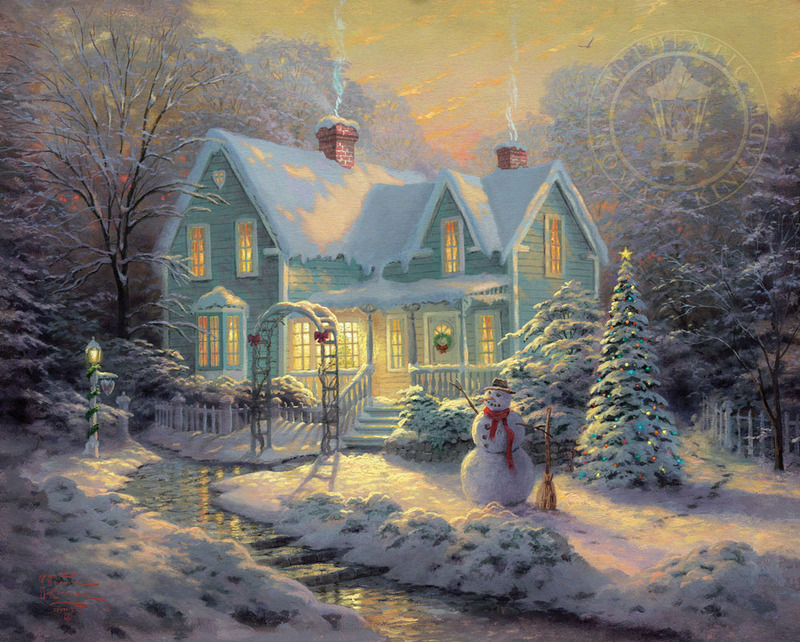 I've chosen to re-visit a favorite artistic place in "Blessings of Christmas", which takes a fresh look at the charming cottage of "Home Is Where The Heart Is II" in its evergreen bower, but now in the snowy grip of winter. Somehow, the warmth of family life lived in this cozy dwelling is accentuated by the shroud of snow that that sits so gracefully on the trees. The cheerful snowman wrapped in his red scarf and wielding a straw broom, embodies the very spirit of the season.